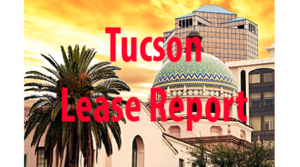 The following commercial leases were reported to the Real Estate Daily News for the Tucson Lease Report from January 21-25, 2019. CGI Federal, Inc. leased 50,000-square-feet at 7333 E. Rosewood St. in Tucson, from 1510na, LLC. Greg Furrier, Retail Specialist with Cushman & Wakefield | PICOR, represented the tenant in this transaction. 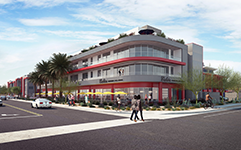 Tucson Physicians Group Holdings pre-leased a 23,000-square-foot medical office in to be built St. Mary’s Pavilion which consists of 55,000-square-feet from PMB Tucson Holdings. Occupancy is projected for June of 2020. David Montijo and Damian Wilkinson of CBRE’s Tucson office handled the transaction. Harbor Freight Tools USA, Inc. leased 16,472-square-feet in Northview Plaza, located at 3739 N. Oracle Rd. in Tucson, from Shenitzer Development, LLC. Northview Plaza, anchored by Pep Boys and Boot Barn, is now 100% leased. Dave Hammack and Ron Zimmerman with Cushman & Wakefield | PICOR, represented the landlord; David Jarand with Strategic Retail Group, represented the tenant. SOLON Corporation leased 12,083-square-feet at 2155 N. Forbes Blvd., Suite 101 in Tucson, from Forbes Tucson, LLC. Rob Glaser, SIOR, CCIM, Industrial Specialist with Cushman & Wakefield | PICOR, handled this transaction. GSET Management Corp., leased 4,831-square-feet at 1141 W. Grant, Suite 105 in Tucson, from Sloat Family Partnership, LLLP. Stephen D. Cohen and Russell W. Hall, SIOR, GSCS, Industrial Specialists with Cushman & Wakefield | PICOR, handled this transaction. Muscular Dystrophy Association, Inc. leased 4,059-square-feet at 6400 E. Grant Rd., Suites 150 & 160 in Tucson, from La Mirada, LLC. Rick Kleiner, MBA, Office Specialist with Cushman & Wakefield | PICOR, represented the landlord in this transaction. SAGE Counseling, Inc. leased 2,000-square-feet at 1132 E. Broadway Blvd. in Tucson, from 742 E. Lee Street, LLC. Ryan McGregor, Office Specialist with Cushman & Wakefield | PICOR, represented the tenant in this transaction. Adair Homes of Arizona, Inc. leased 1,680-square-feet in Costco Plaza, 3821 W. Costco Dr. in Tucson, from Bay Shore Oil Company, Inc. Dave Hammack, Retail Specialist with Cushman & Wakefield | PICOR, represented the landlord in this transaction. Gwenna Comier & Gabriel Rios leased 1,200-square-feet of restaurant space at 8060 E. 22nd St. in Tucson, from 8060 E. 22nd St., LLC. Greg Furrier, Retail Specialist with Cushman & Wakefield | PICOR, represented both parties in this transaction. Burning Desires Hot Air Balloon Rides, LLC, DBO Tucson Balloon Rides, leased 1,200-square- feet at 1101 W. Grant Rd., Suite 207 in Tucson, from Sloat Family Partnership, LLLP. Tucson Balloon Rides provides custom hot air balloon rides in Tucson. Stephen D. Cohen and Russell W. Hall, SIOR, GSCS, Industrial Specialists with Cushman & Wakefield | PICOR, handled this transaction. Pima County Free Library District leased 1,120-square-feet at 5049 E. Broadway Blvd., Suite 105 in Tucson, from CFSA Community Campus, LLC. Ryan McGregor, Office Specialist with Cushman & Wakefield | PICOR, represented the landlord in this transaction. Dailyvest, Inc. leased 1,022-square-feet at 5151 E. Broadway, Suite 1520 in Tucson, from Tucson 5151 Investments, LLC. Rick Kleiner, MBA and Tom Nieman, Office Specialists with Cushman & Wakefield | PICOR, represented the landlord; Jeff Casper with CBRE, represented the seller. Reverly, LLC leased 880-square-feet at 5110 E. Speedway Blvd. in Tucson, from 5104 E. Speedway, LLC. Ryan McGregor, Office Specialist with Cushman & Wakefield | PICOR, represented the landlord in this transaction. Vail Floors, LLC leased 804-square-feet at 13180 E. Colossal Cave Rd., Suite 130 in Tucson, from Old Vail Station, LLC. Roxanne Harding, Retail Specialist with Cushman & Wakefield | PICOR, represented the tenant; Craig Finfrock with Commercial Retail Advisors, represented the landlord. Sitavan, LLC leased the former La Salsa building at 1021 N. Wilmot Rd. in Tucson, from Monterey Village, LLC. The new tenants will be offering an American grill menu. Greg Furrier, Retail Specialist with Cushman & Wakefield | PICOR, represented both parties in this transaction. JoAnn’s has renewed their lease at 7225 E Broadway, located on Broadway Blvd., just east of Kolb Rd. Andy Seleznov and Melissa Lal with Larsen Baker represented the Landlord.